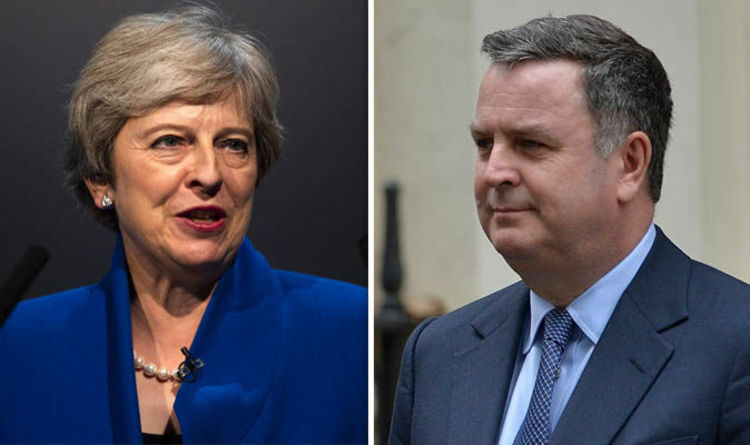 Treasury Minister Mel Stride appeared to suggest a new plebiscite was a possibility if the Prime Minister’s “Chequers deal” proposal was rejected by the House of Commons. His comments were dismissed by one leading pro-Brexit MP as a doomed attempt to pressure Tory rebels into supporting a plan they do not want. Mrs May herself has firmly rejected calls for a new referendum. Most recently, she told us this week in an exclusive interview that the 2016 referendum was held to give the public a choice and going back on that vote would “destroy trust in politicians”. Mr Stride told Sky News’ All Out Politics: “When we have a firm deal on the table, I suspect that those to the right of the party – the pro-Brexit wing – will be very concerned that if that deal does not prevail, they will end up in the situation where we could have a second referendum or we could end up not leaving the EU altogether, so there is a danger of that happening if Chequers does not prevail. He claimed there was now a “fundamental move” towards a Brexit deal with the EU “based around Chequers”, which would be “unmitigated good news” for the British economy. Pro-Brexit MP Tory Peter Bone said Mr Stride’s comments sounded out of line with the PM’s own vow that there would not be a second referendum. Mr Bone told the Daily Express: “There is also an Act of Parliament that says that if we don’t reach an agreement by 29th of March next year, we will come out of the EU on World Trade Organisation rules. “So the idea that the alternative is a second referendum or staying in is nonsense. “I think it’s part of pressure being put on Conservative MPs who want to see a proper Brexit. Earlier, campaigners for a second referendum set out a roadmap of how MPs could force Mrs May to stage a vote to give the public the final say on the outcome of her Brexit negotiations. The People’s Vote report said MPs could force the PM to concede a second referendum by a vote on Parliament, or even that Mrs May might decide to call one herself. The group says the option of staying in the EU must be on the ballot paper and that the March 29 Brexit deadline could easily be delayed to give time to organise a new referendum.